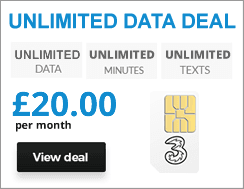 How do I bring my existing number when switching to Three Pay Monthly? Porting your number to Three is easy. Just follow the 3 simple steps below. 1. Insert your new Three SIM into your phone and turn it on. 2. Call up your old network to let them know you are leaving and request your PAC (Port Authorisation Code). 3. Fill out Three's online form to report your PAC. That’s all there is to it. If you submit the form before 5pm Monday to Friday (excluding bank holidays) your number should be ported by Three the next working day. Outside of those times Three will still transfer your number as fast as possible and will text or email you to let you know when your number will be moved. Just be aware that you need to keep your old account active until your number has been ported. How do I bring my existing number when switching to Three Pay As You Go? Porting your number on Three Pay As You Go is also incredibly easy. If you submit the form before 5pm your number should be transferred by Three the next working day. Please be aware that you need to keep your old number active until it has been successfully ported to Three.